Hands-on with Watch Dogs 2: will it fulfill the promise of the original’s early hype? Ubisoft adds fun to the po-faced hacking sim and the world opens to new opportunities. Open world games of the kind that Ubisoft has become so proficient at putting out are just inherently not very well suited to short demos that only offer a glimpse of the game and its world. And in the past I think a few of their games have been wronged by that fact. In the case of the original Watch Dogs, its initial look drove the internet gaming mega-fan bubble into a frenzy, with a bloody impressive E3 demo that only seemed to inflate expectations for the final release. When it landed and was merely okay but not anywhere near as impressive as that first look promised, it hurt the game. The backlash was huge, in most cases rightfully so. Watch Dogs 2 has a clear mission, then: live up to that original demo. As such, my time with Watch Dogs 2 at E3 was spent concentrating on a bucket list of tweaks, additions and improvements aimed to ease concerns around the first game. I thought the driving wasn’t great the first time around, for instance: but it’s been adjusted here to clear that up and offer a more immediately fun driving experience. The new driving isn’t the pinnacle of realism, of course, but nor does it need to be. 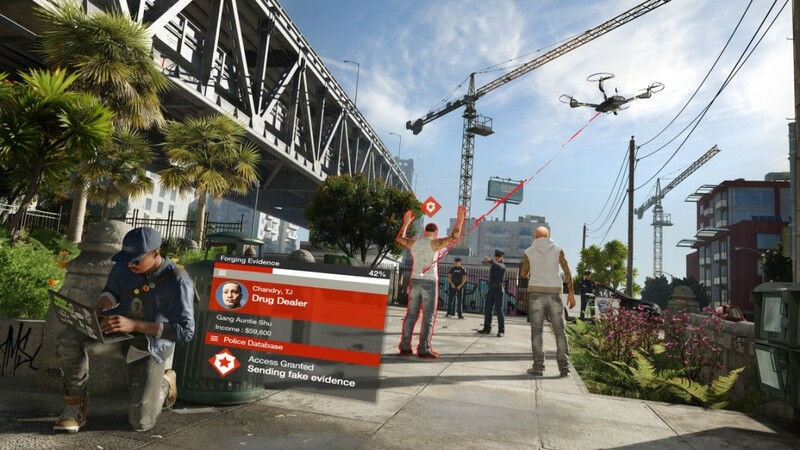 Watch Dogs 2 seems to be reaching the place Assassin’s Creed did after a couple of games; it throws off some of the stuffier tonal restraints and allows itself to be a little sillier with its mechanics. Everybody went wild for the new makeshift weapon of a billiard ball attached to the end of a rope you can swing around – the game’s ‘signature’ weapon – and that’s the sort of tone this time around. That’s a weapon that could easily be made real, but also one that inherently seems slightly ludicrous. That’s the tone of Watch Dogs 2. This is a tone that I don’t feel that the trailers have been the best at getting across – there’s the hacktivists, some terrible choices of music and weird, skittish editing that dominates the E3 trailer, for instance – but that’s not what I took from seeing the game at the show. What I got from it instead was an open world that seems to want to abuse the world established in the first game for maximum fun opportunities. Again, all this gives me shades of Assassin’s Creed 2 when compared to the first with its repetitive activities and more oppressive tone – Ezio was more fun than Altair, and so too was the game. That’s an exciting comparison to be able to make here. I will however admit that Marcus, Watch Dogs 2’s new hero, doesn’t really seem to grab me in the same way Ezio does. He seems to have fun stuff he can get up to in the world more quickly, but he does appear to be yet another baseball cap wearing douche. 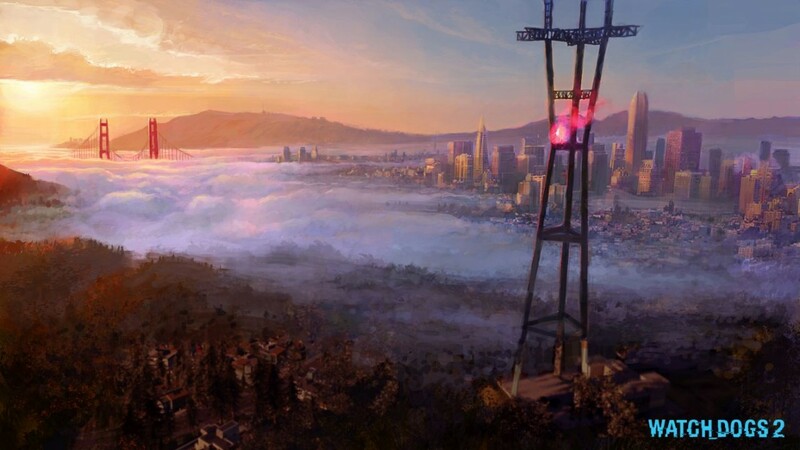 Better is the city of San Francisco, the new setting, which is a nightmare to navigate (god forbid live in) here in the real world but seemingly a hell of a lot more fun to explore in Watch Dogs 2. 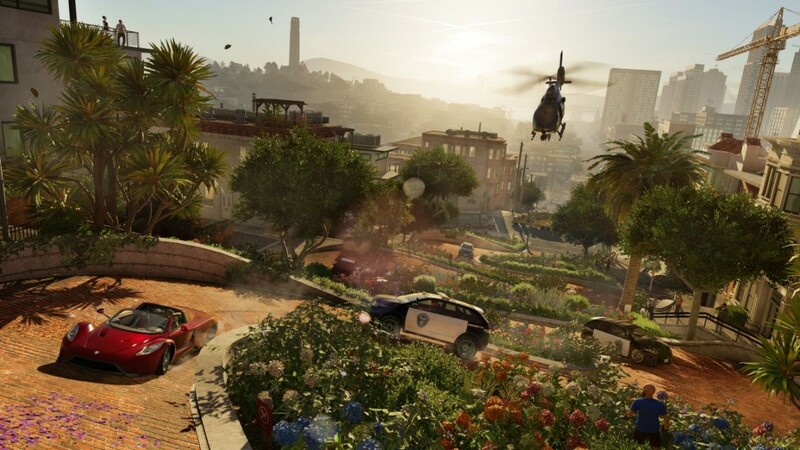 There’s a difficult balance to strike between approximating a real location and making fun spaces where video game action can take place – an art only Rockstar appears to have truly mastered when it comes to modern cities – but Watch Dogs 2 appears to have a pretty good handle on this itself, at least in the brief time I spent with it. One of the best new ways to take in the city views is a remarkably topical addition: a little drone that Marcus can access with a single button press. Taking control of the drone can be used to simply get a bearing for your surroundings, but it’ll also play a role in missions. There’ll be other similar gadgets throughout the game in addition such as a little remote controlled buggy with abilities of its own, but the drone seemed the most initially interesting thanks to its ability to head high in the world. Sprawling maps are just one of many reasons why as I mentioned earlier these games never demo great at trade shows, but from what little I could make out the world of Watch Dogs 2 appears to be pretty bloody big. Within the world there’s plenty to engage with Watch Dogs’ signature hacking mechanic. The menus are sort of context sensitive – hackable objects will automatically highlight, and a press of a button will do one basic hack while holding it will offer up more options, such as telling a motor vehicle to move in a specific way, something which could be used to arrange some unfortunate ‘accidents’. Hacking is the part of the original game that showed the most promise and really made the premise shine above its execution, so I’m excited to experiment with it more in this entry. Between your air and ground-based drones and your various hacking abilities, all of which are expanded, it seems like there’ll be a lot of options at play. That’s all without touching on the shooting, which I barely got ot grips with, but if things do go awry, Marcus is indeed armed. The concepts on offer in Watch Dogs 2 aren’t exactly as fresh as they were a few years ago when its predecessor was announced. That much is true. What is exciting, however, is that this game might be poised to finally deliver on the promise those presentations made. 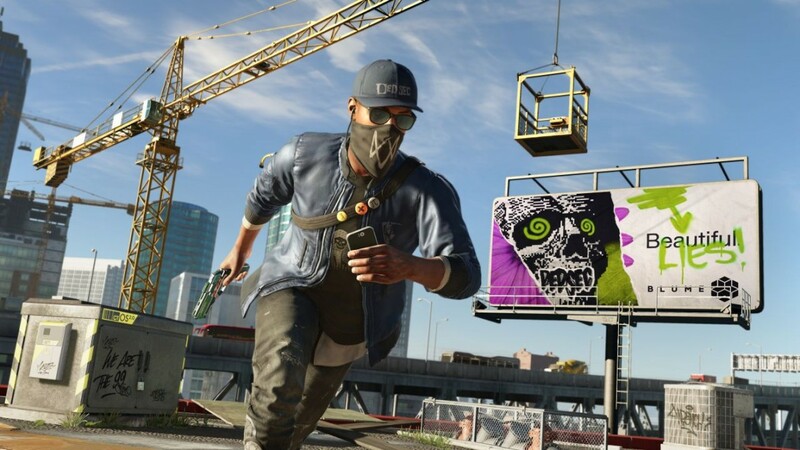 We’ll find out how well Ubisoft does come November, but I’m personally hoping for Watch Dogs 2 to pull the same trick Assassin’s Creed 2 did in catching up to the hype of its predecessor. Watch Dogs 2 is out for PC, Xbox One and PS4 November 15.